The first thing you need to know is "hashtag" is not a buzz word. A hashtag is an actual thing, with a real purpose. It's something you must leverage in your online communications strategies. I've been talking to a lot of people about communications strategies over the past month. The aspect I spend the majority of my time on (aside from telling everyone why Instagram is so awesome) is explaining what a hashtag is and how it's used in a social media context. 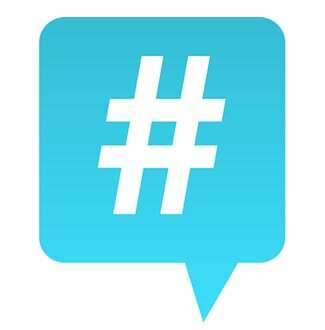 A hashtag is a keyword or phrase that follows the # symbol. Where do I use hashtags? From a social media perspective, hashtags are integrated into Twitter, Instagram, Flickr, Tumblr, Google+, Vine and (recently) Facebook. This means hashtags should also be used in your communications planning documents. Hashtags add searchability to your content. For example, if you take a photo of your cat being adorable and you want anyone who searches the term "cat" to find your photo, you would make sure you use "#cat" in your tweet, Facebook status update, Flickr tags, or Instagram caption. Alternatively you might also use #adorablecat, #adorablekitten or #catsofinstagram. All of these terms will help users find your majestic cat when searching on social media networks. You already know that a hashtag increases the chances of someone finding your post when they search for a term you've hashtagged. This is the intended use of the hashtag. When you launch a social media campaign, you're going to want to track its success, which usually includes a measurement of engagement. If you associate a hashtag with your campaign, you'll be able to use free tracking tools to measure how many people are participating. You can also search for your own hashtag and engage with participants. For example, let's say you want to promote healthy snacking for kids as part of a larger outreach/awareness campaign. You might decide to use #kidsnack as your campaign hashtag. ("Share your healthy #kidsnacks on social media!") You'll end up with photos, blog posts, Facebook updates, and tweets from your community sharing their ideas. Ever heard of #TBT, also known as #ThrowBackThursday? It's a growing trend on Twitter and Instagram to post an old photo of yourself on Thursdays and tag it with one of the two hashtags. If you do, you're joining the 25 million people who have participated in this ever-popular expression of nostalgia. You'll also join all of those people in asking "What was I thinking in the '80s?" Take some time to learn about what your audience is talking about. You'd be amazed at the hashtag movements you can become a part of! The internet is on the fence about whether or not hashtagspeak is a good thing or a bad thing. Hashtagspeak is what happens when you combine more than two words in your tag. #KnowWhatIMean? You might have seen this on your social networks already because #AllTheCoolKidsAreDoingIt. Teens love it and the trend is spreading like wildfire now that Facebook supports hashtags. Sometimes it's frustrating. Sometimes it's hilarious. My advice: use this technique #wisely. Want more hashtag talk? #FindMeOnTwitter @AllieKosela.